WrestleMania is coming up in a matter of days — thanks to the G1 Supercard show at MSG on Saturday — NXT TakeOver: New York will be on Friday night. Johnny Gargano is in one of the biggest matches of his career against Adam Cole for the NXT Title. Johnny Wrestling’s 2 out of 3 falls match for the NXT Title could have a very interesting conclusion if Candice LeRae has anything to say about it. During a recent video from the WWE Performance Center, NXT Superstars were asked about their favorite WrestleMania moments. This brought a wide array of answers from everyone they asked. Johnny and Candice had to give props to The Macho King Randy Savage. LeRae asked Johnny that after he wins the NXT Title on Friday, if he will lift her up on his shoulder like Savage did with Elizabeth. This brought a pretty great response that you can see below. The fact that Candice LeRae said a 6-year-old her couldn’t take watching that go down live means we’ve got a real fangirl on our hands which is great to see in an NXT Superstar. NXT TakeOver: New York is going to be an action-packed night and plenty of things are possible. 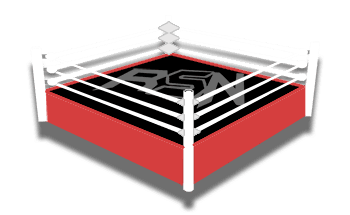 Keep checking right here at Ringside News and we will keep you up to date on everything that goes down before the show of shows.